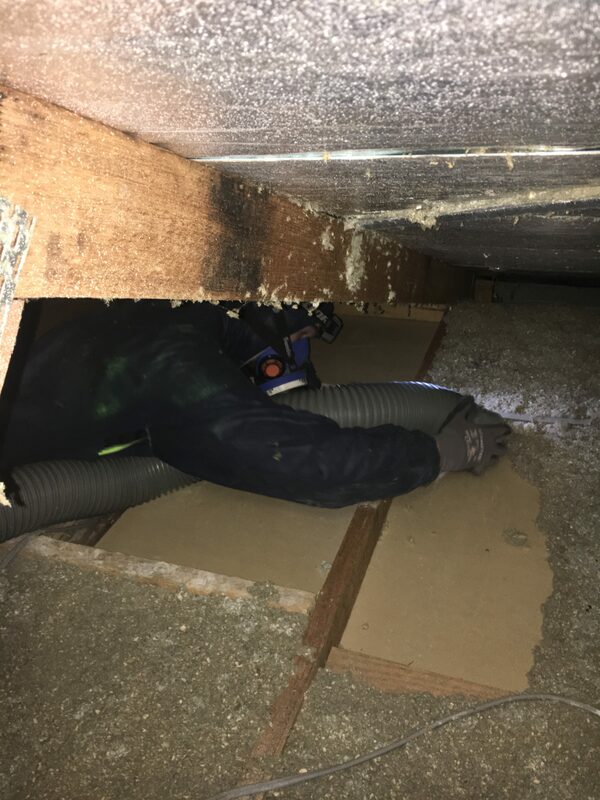 Brisbane Insulation Removals are experts in removing loose/cellulose insulation from your ceiling cavity. With our heavily designed vacuum which has been made especially for removing the dusty and harmful cellulose insulation from your ceiling with out disturbing your everyday living. From a health standpoint, the many chemical additives can cause reactions in some sensitive house owners. Symptoms reported after the installation of cellulose insulation include hair loss,digestive and respiratory disorders and sometimes rashes. Individuals with an intolerance to newspapers can easily be bothered by this insulation. Cellulose can create a lot of dust over time filter through very small openings eg: down lights – house owners can experience red and sloughing skin, lung irritation, coughing, bronchitis, and pneumonitis. contaminated with water and sag ceilings.